【 HD 1080P】You can see crystal clear images with this full HD camera. 【night vision】Night vision up to 20ft in the dark. No miss any moment even in the dark night. 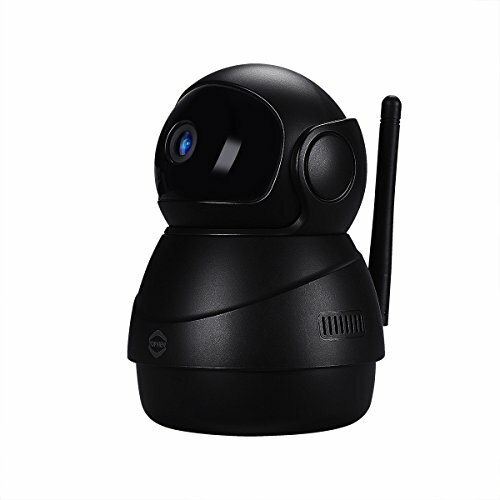 【Add Multiple Cameras&Share with Multiple Users】You can add more than 20 cameras on your phone-bedroom, living room office etc. Share camera live view with your family by entering their accounts(they can only check LIVE view can not playback). -The camera is available to 2.4GHz band not 5GHz. -If change Wi-Fi or connection's time out, please press and hole the reset button by 3 to 5 seconds to reset. Release it until the camera makes two short beeping sound. Then unplug charging cable and plug the power again , start search the camera on phone IPC360 to finish set up as before. If you have any questions about this product by TopView, contact us by completing and submitting the form below. If you are looking for a specif part number, please include it with your message.